This limited-edition set comes housed in an elegant hard slipcase and includes a new 40-page book with stunning art and essays. 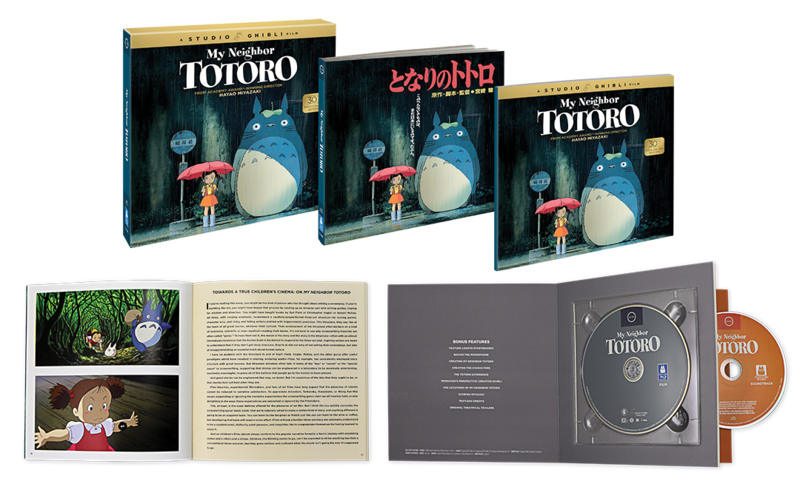 Featured in a deluxe disc portfolio is a Blu-ray of the film paired with hours of special features, and the film’s soundtrack made available on CD for the first time in North America. The set’s 40-page book features new essays by The New York Times’ film critic A.O. Scott and film writer Lauren Wilford, alongside gorgeous art, statements from director Hayao Miyazaki and producer Toshio Suzuki, and more. From the legendary Studio Ghibli, creators of Spirited Away and Ponyo, and Academy Award®-winning* director Hayao Miyazaki, comes a classic tale of magic and adventure for the whole family, now celebrating its 30th anniversary.